We get a lot of questions on our tours and Meetups about filters and thought it might be a good time to share our insight on filters with our Meetup Friends! If you are an experienced photographer you may already know quite a bit about neutral density and polarizing filters, but there are some other filters available that can enhance your imagery, so read on! If you are newer to photography and haven’t yet started experimenting with filters, keep reading, as we are happy to share our knowledge with you! There are tons of opinions on whether UV/Skylight filters are helpful. These filters do nothing to enhance your images, however, many people use these filters to protect the front element of their lenses. The challenge comes from putting a $100 filter over your $XXXX dollar lens. You may actually be reducing image quality by adding a layer of glass that brings no other value (i.e., enhancement) to the image. These filters will sometimes reflect light back on the image sensor and cause unwanted light artifacts. Generally, we don’t use UV/Skylight filters for this reason. However, I can count on one hand the number of times over the last several years where I needed a UV filter in front of my lens. One case was on the beach in Iceland with 50 mph winds, a lot of sand was blowing that day. So it’s not unusual for us to travel with 1 UV filter for such situations, but most of the time it stays in the camera bag. For every person that tells you there is no need for a UV filter, there will be one who swears by them because they have dropped their lens and only the UV filter was damaged. So deciding on whether to use one is definitely a personal choice, based on experience. Polarizing filters can be powerful tools and this is one filter we think most photographers should always have in their camera bag. 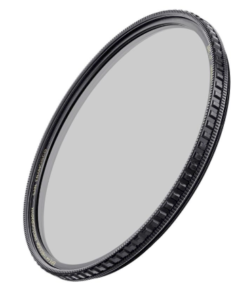 There are two types of polarizers, circular and linear. 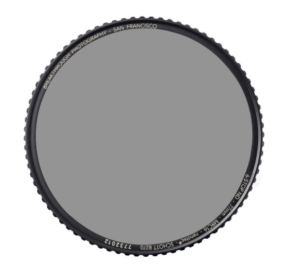 For the discussion below, we are talking about the circular polarizer. The polarizer has but one significant use, to eliminate or reduce glare or reflections and increasing saturated colors, making it a great tool for enhancing rivers and forests and other water scenes. The polarizing filter is also know for making the sky bluer when shot at 90 degrees to the sun, the level of blue is usually graduated and not constant if you are shooting with a wide angle lens, so the result can often be unpleasing (1/2 the sky is vibrant, the other 1/2 is not and this is nearly unfixable in post process). For landscape photographers the polarizer is a gift when it comes to reducing or eliminating unwanted reflections on wet rocks or the surface of water. Of course there are times when you want reflections on water (fall color comes to mind), so in those cases you dial in the correct amount of polarization. The filter can also be used to reduce reflections on shiny objects. So if you like to photograph cars, this is an important filter. 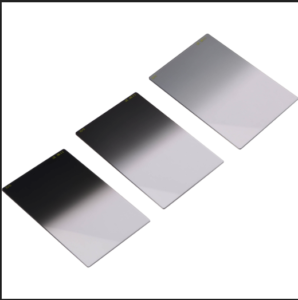 There are 2 types of Neutral Density Filters, solid or graduated. 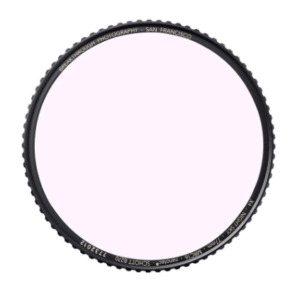 Graduated filters are generally used in landscape photography to tone down light that is brighter above the horizon than it is below the horizon. The filter is usually rectangular and partially clear on one half and shaded on the other half. The other neutral density filter has a solid tint and is used to slow down the shutter speed more than available light will allow. This is a fairly new technology; the purpose of night sky filters is to cut down the light pollution that is often seen in night sky imagery. The filter does this by restricting light transmission in the artificial light pollution ranges between 570 to 610 nanometers on the visible light spectrum. These filters can give you a cleaner, crisp image without the yellow tint that is visible in many night sky images. Breakthrough Photography is our preferred vendor for this type of filter. What Size Filter should I use? When starting out it is not unusual to have a variety of lenses with different size filters threads. 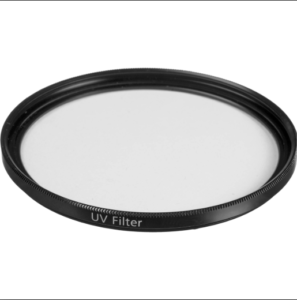 Rather than have multiple filters in multiple sizes, as noted above, we recommend you purchase the filter that will fit your largest lens opening (e.g., 77mm) and then use adapter rings to fit this filter to your other lenses. Like many things in life, you get what you pay for when it comes to adapters. There are a lot of cheap aluminum adapters on the market. However, if you buy a set of these you will likely find they will get stuck on your filter (due to temperature changes in the field). These can sometimes be difficult to get off (there are filter wrenches that can be helpful). There is nothing more frustrating then being in the field shooting and having to lose time/light struggling with a filter. To avoid this problem remember to never fully tighten your filter on the adapter and use higher quality filter adapters, like those made by Breakthrough. They cost a little more, but they are worth every penny. Filter thickness comes into play when shooting with a wide-angle lens. A thick filter may produce what is called a vignette when used on a wide-angle lens. A vignette is the darkening of the corners of the picture do the edge of the filter being in the field of view. If you shoot a lot of wide-angle landscapes, it would be worth it to buy slim or thin profile filters when possible. Breakthrough was started by a photographer who thought he could make better filters by sourcing the best glass and materials. Breakthrough has an innovative filter ring design and this makes it easier to grip the edges of the filter. In our opinion Breakthrough was the first to make a 10-stop ND filter with zero colorcast. We jumped on board when Breakthrough was just a Kickstarter project. Today they are perhaps the hottest filter brand on the market. While Breakthrough does not offer discounts, we feel their filters are competitively prices and this is the first filter we recommend. 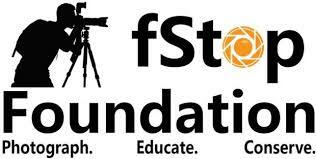 We carry their circular 3-stop ND, 6-stop ND, 10-stop ND, and night sky filters. Click here for Benro. Discount code: Roadrunner15 for 15% off your purchase filters and filter holders. Singh-Ray is the granddaddy of the high-end filter business. Their filters are often more expensive than the other two vendors we mentioned above, but are of superior quality. Singh-Ray offers a wide array of filters. We think Singh-Ray really shines when it comes to graduated neutral density filters. The only filter we don’t recommend is 10-stop ND filter, as we have found this filter has a visible magenta colorcast. 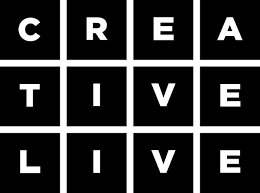 Click here for Singh-Ray. Discount code: ROADRUNNER10 for 10% off your purchase. This entry was posted in Educational, Gear, Long Exposure, Tutorials and tagged Creativity, filters, gear, how to, long exposure, slow shutter.